While I definitely went through a phase in my early twenties, trying out every "of the moment" trend, my style has since evolved and I tend to be more selective on the trends I choose to embrace. Instead of forcing something that doesn't work with my body type or fit my personal style, I now stick to updated classics and silhouettes that I feel confident in. 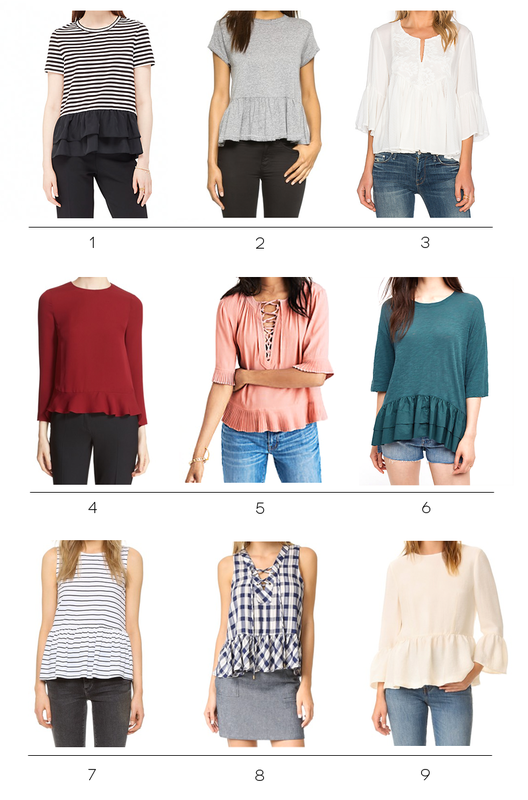 While there are several trends I passed on over the Summer, the ruffle trimmed top was one I fully embraced and plan on wearing into the Fall. More interesting than a basic tee and less formal than a peplum blouse, the ruffle trimmed top is quickly becoming a new obsession of mine.